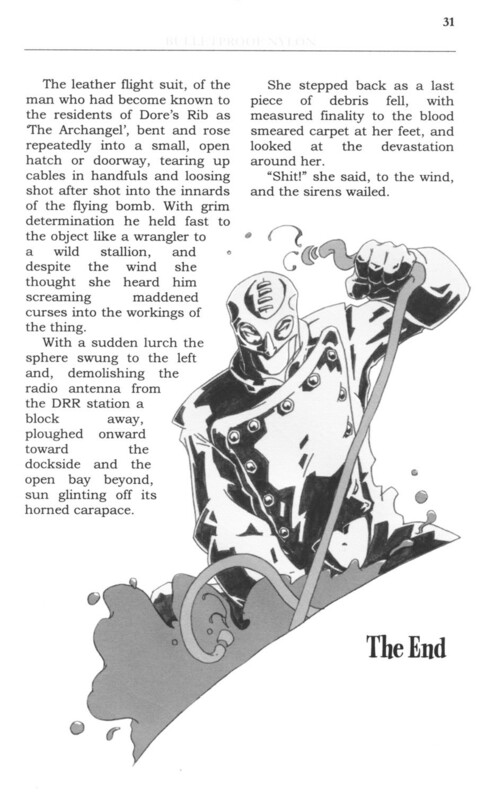 and all being well the first issue of the Adventure Story Digest should be available for Christmas. 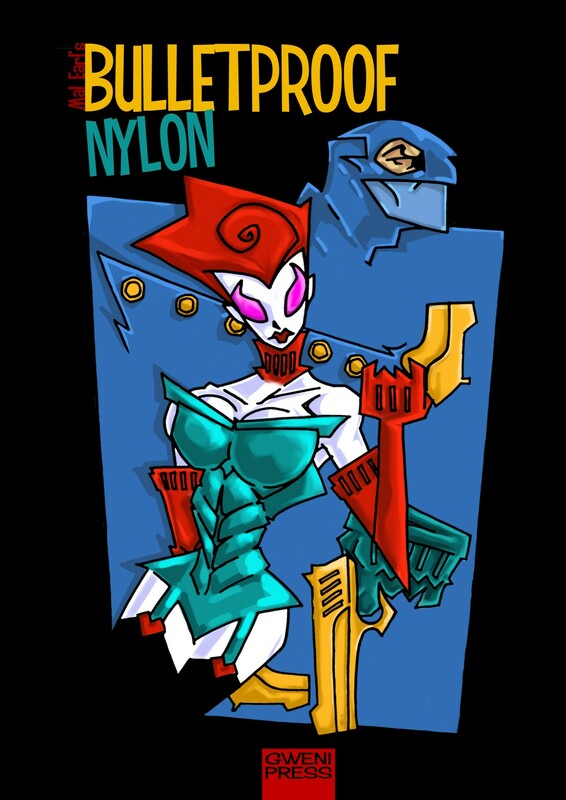 the official players in the saga that is BULLETPROOF NYLON. Around the halfway point on the novella…. time to kiss start phase 2. 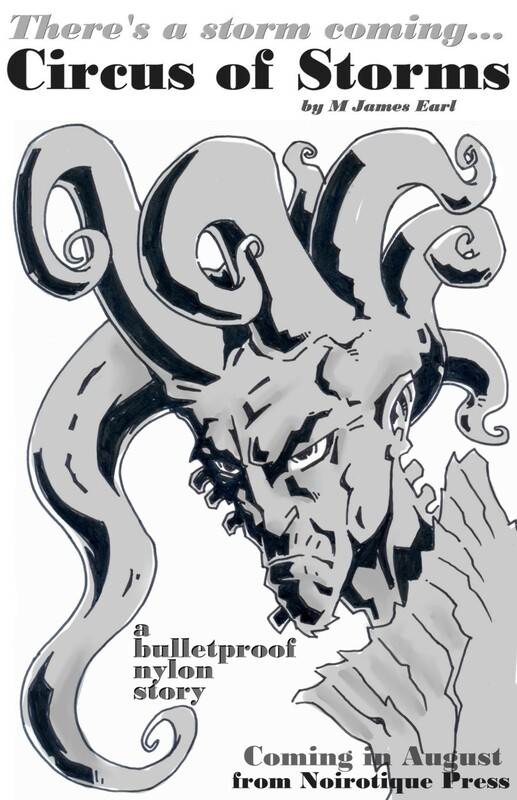 Based on the format of the much missed 80’s zine… BRUTE!, from the minds of Mal Bennett and Aidan Hughes, LOOSE ROUNDS will be an A6, 30ish Page presentation of short stories set in the world of BPN. Set in an alternative 1960s, BPN populated itself with an eclectic troupe of actors from the plains of memory… each one informing a character in the growing world of Bulletproof Nylon. 2018… the year it happens. The entire saga will be posted on the website initially, with comics, books and prints made available if the interest is there. So please bookmark the site for updates, and I’ll give a shout here when I post new material. In preparing for the relaunch of BPN, I reclaimed the shreds of ideas that would eventually form the tale as you see it now. 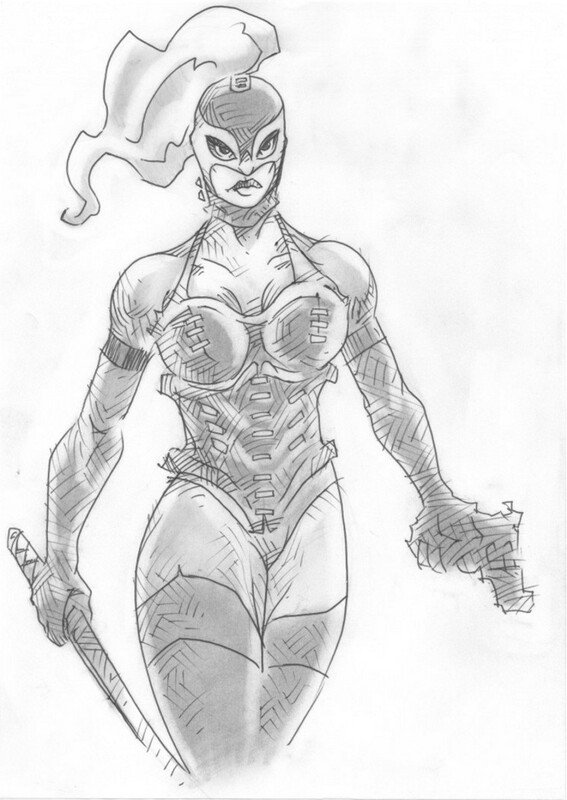 Initially, inspired by Rafael Navarro’s marvellous ‘Sonambulo’ comic, Archangel, and his accomplice, The Viper were heavily based on the Luchadore wrestlers of Mexico. I subsequently decided on dropping the concept, as my poor knowledge on the whole area of Lucha seemed to devalue the idea to a mere whim. For posterity, however, here are the few, earliest concept designs from the projects inception back in 2010. 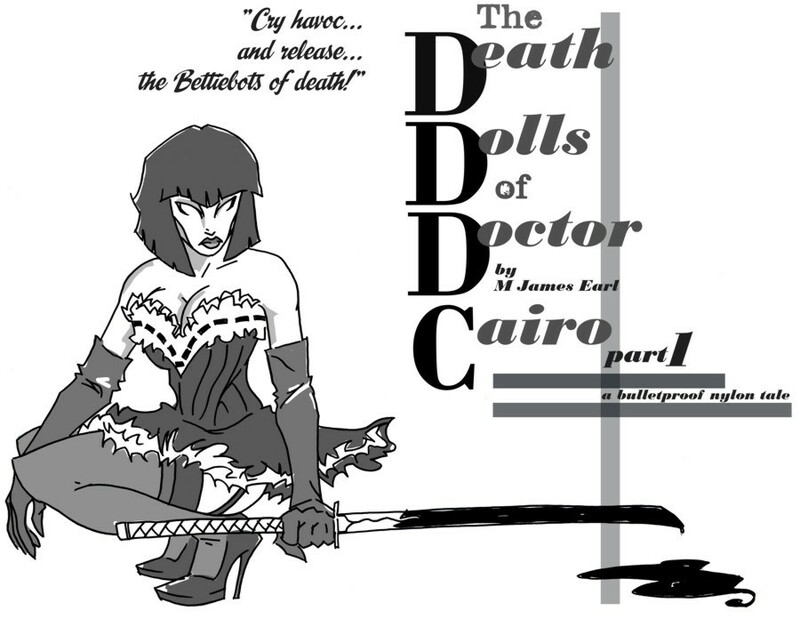 These were to accompany the first story I ever conceived for the project… ‘Circus of Storms’… Over the years the tale has evolved and changed, and is now the prologue segment to the longer ‘The Death Dolls of Dr Cairo’. I’ll be taking part in a comics Q and A, alongside Steve and Annie Parkhouse and Gary Erskine on 18th April. Details at the link below. 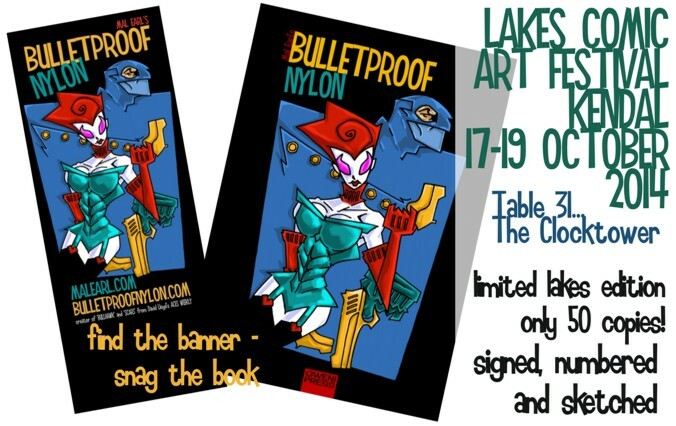 I’ll be bringing copies of BOUND and the last remaining BULLETPROOF NYLON PRIMER books, if anyone needs a signed memento of what promises to be a grand day out! With a major profile boost already under way, including an exclusive tale for David Lloyds Aces Weekly in November, I would recommend grabbing this now rather than waiting… this has the potential to become the most sought after BPN collectable of all! 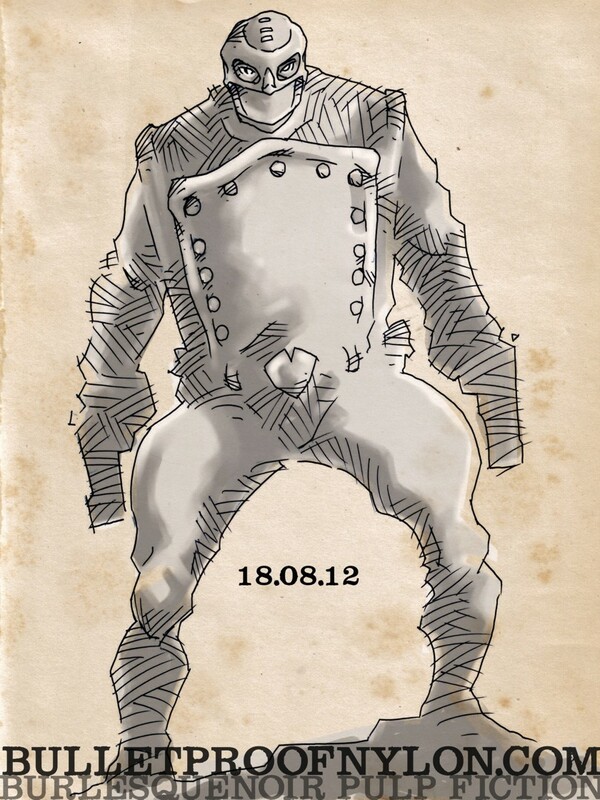 Limited to only 50 copies – signed – numbered – sketched. 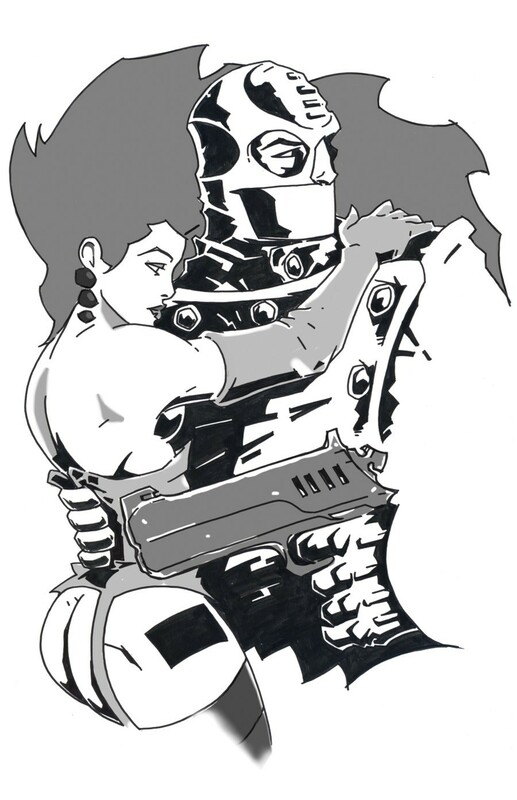 Includes – 2 free A4 signed colour prints with every copy. just about on schedule… I really wanted an old-time pulp feel to this illo which accompanies the first part of the origin story ‘The Brotherhood of Adam’… didn’t come easy… blood, sweat and tears!!!! Just because things are quiet – don’t think I’m doing nothing, folks! in the meantime here’s a couple I prepared earlier… today, that is! 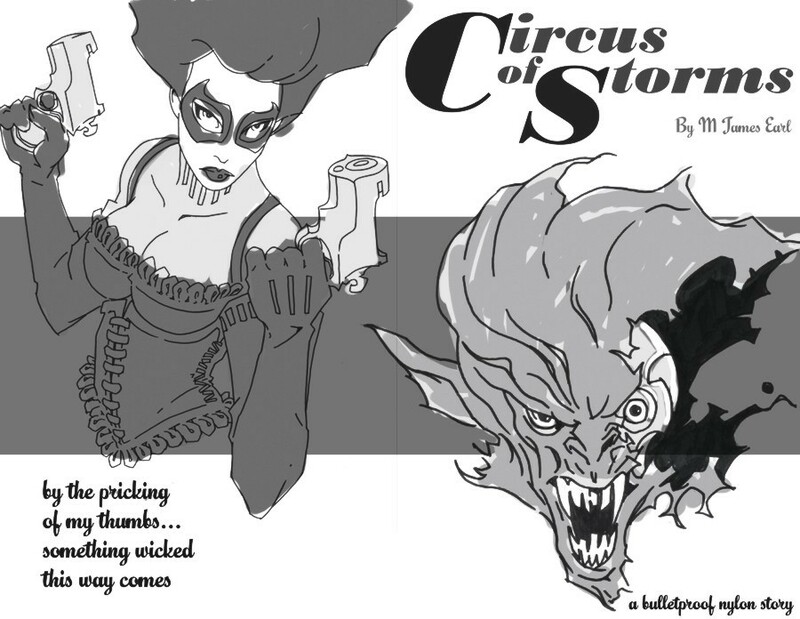 is an ongoing creative project, informed and inspired by The Pulp Magazines, Hard-boiled Crime Literature, Popular Television Shows and Global Underground Fetish Culture of the Mid-Twentieth Century. In text and illustration the project will grow to explore the denizens and environs of an alternative world of the 1960s, in a series of interlocking, convergent tales. A vaguely familiar London is the backdrop to a thousand stories in a world where Japan did not feel the terror of the atomic bomb, the space race is on the brink of being won, atomic batteries power the needs of civilization and the ‘Newton Gear’ has revolutionized the fundamentals of travel across the globe. In the alleyways of Britain’s capital, the vigilantes stand side by side with the police in the fight against increasing lawlessness across the city, and in the shadows, above and below, the machinations of evil and corruption gather like an unstoppable storm cloud. Welcome to the world of BPN.